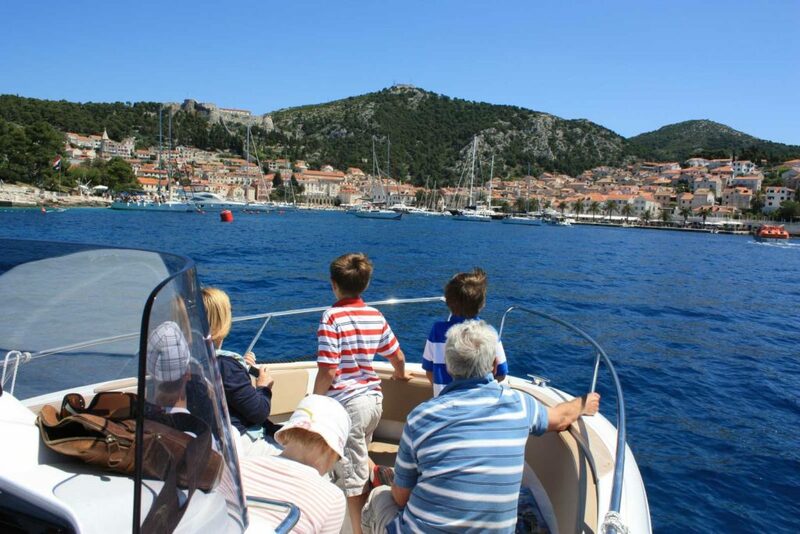 One thing is for sure, a Croatia holiday is a brilliant option if you have children of any age. 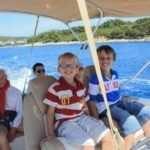 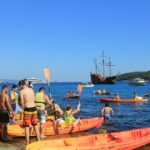 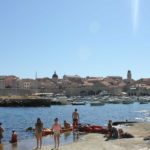 Croatia is small and mostly on the coast with a host of nearby islands that are quick, easy and fun to get to and so getting around is do-able and enjoyable if you have little ones. 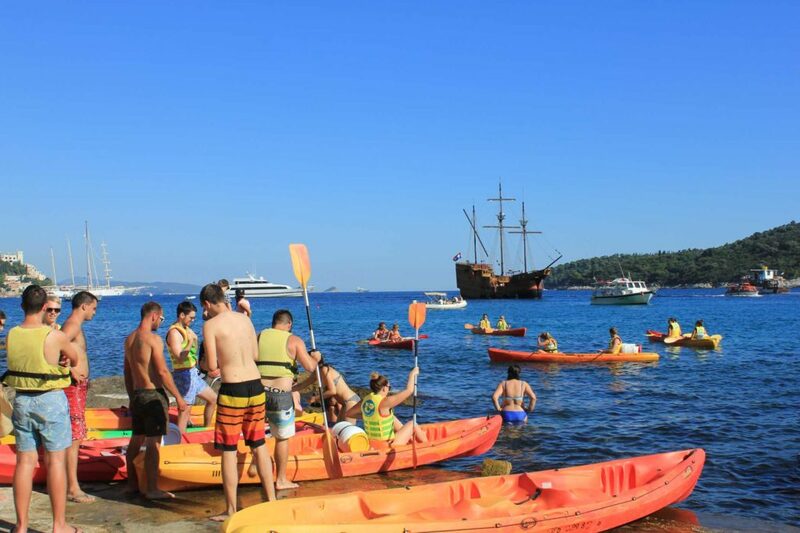 For youngsters there are little beaches and shallow, calm water to paddle in and for teenagers, there is enough independence and ‘cool’ in the locations to allow everyone to do their thing. 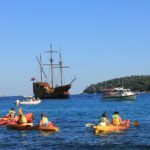 Croatia is very good at being multi-faceted in this way! 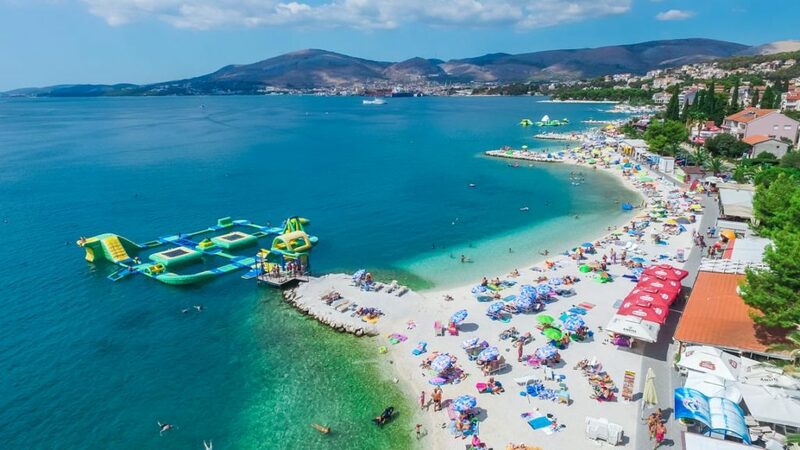 Still, it is a good idea to choose a location which is more child friendly than not if you want to keep the small people happy, and that is where Croatia again does well. 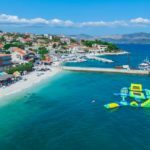 With so many miles of coastline, Croatia beaches are aplenty, and it has lots of bays, coves and beaches to go around from hip lounge bars to serene, hidden bays to the more family oriented. 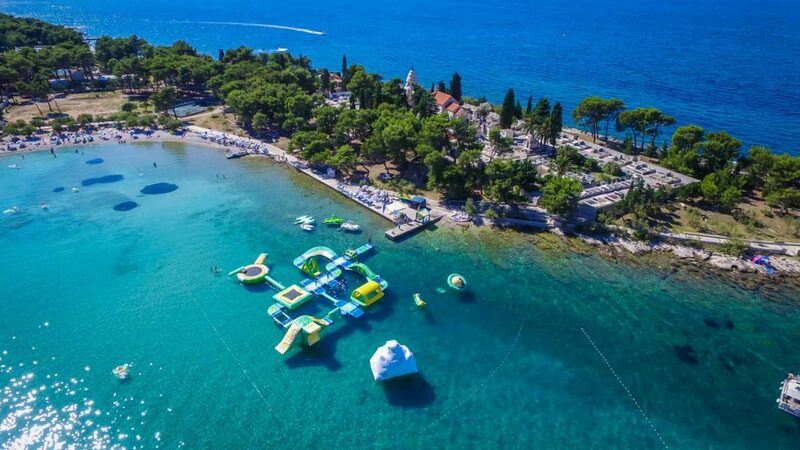 If you have children, go for a bay with sea activities like a big sea bouncy castle, or water slides, pedalo’s, kayaks ad boats! 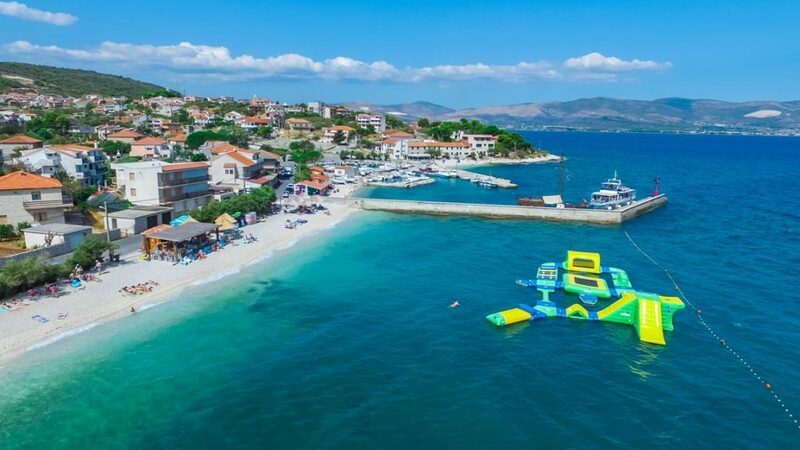 Supetar Bay on Brac Island is ideal and has great inflatables, water slides and plenty of places just next to them for the adults to sit with a beer or sunbathe. 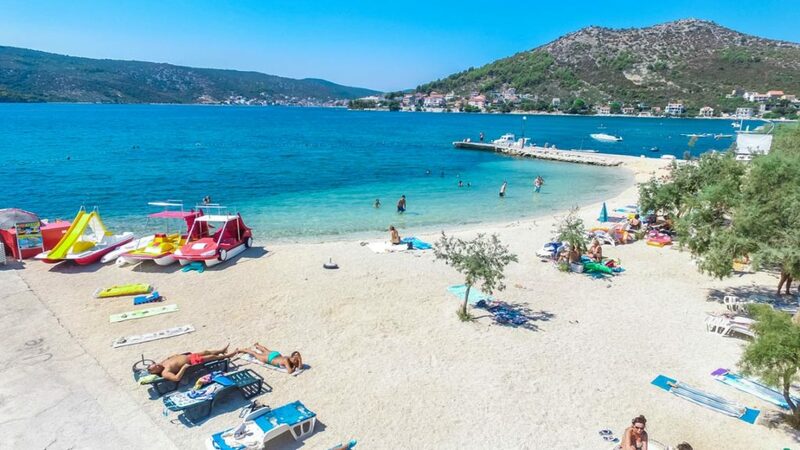 The joy of Croatia is that it generally has small beaches that don’t get overcrowded and so going to the beach or on a day trip is all very easy and bite size. 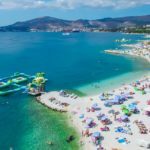 Slatine Bay and Okrug Gornji, on the Split Riviera near Trogir, also have beaches with beach activities and beach bars. 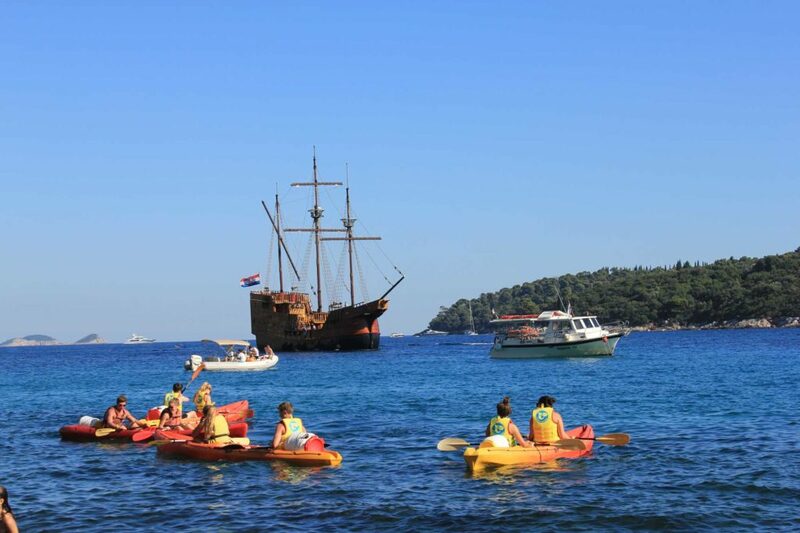 The clear sea also makes Kayaking a very popular and if you are in the Dubrovnik Old Town area, take the opportunity to do it in view of the old town itself. 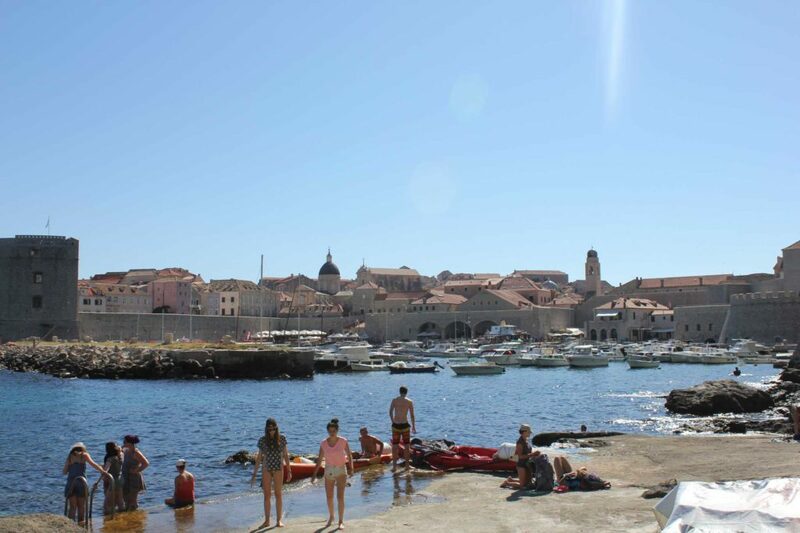 You can actually row from a beach just next to the old town, around the old town walls which is an awesome experience. 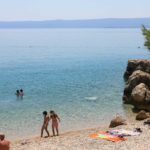 Of course, Croatia is all about location and its pristine beaches and the right beach plus a bucket and spade are all you need to keep children happy for a morning. 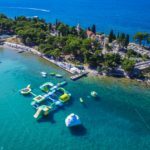 Choose the right beach and its heaven – the Bol Monestary Beach on Brac Island, for example, has a beach with a chilled out beach bar just behind a row of sun loungers so you can sip pina coladas and watch the children play in the sea. 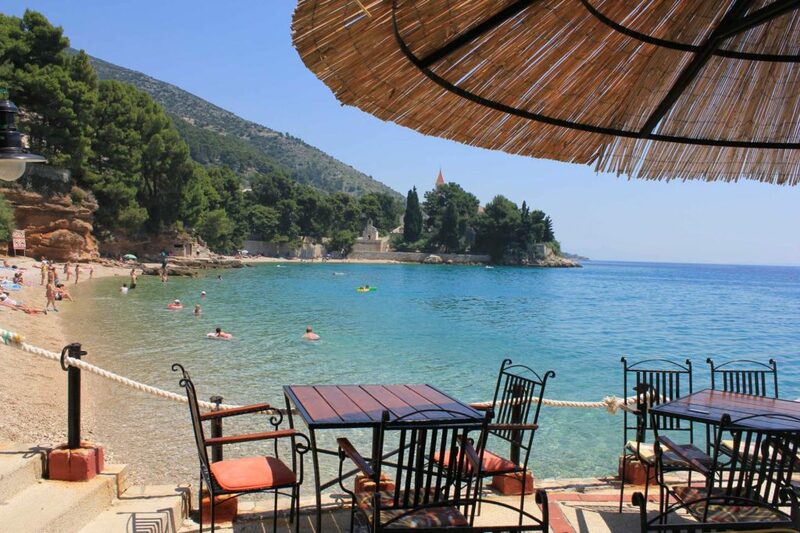 The easy-going restaurant of Ribarska Kucica in an old fisherman’s cottage next to the beach serves fresh, simple and delicious local food and cold local wine also overlooking the sea so it’s all within an arm’s reach. 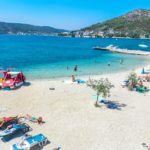 Or Mlini Bay has a variety of beautiful little coves with restaurants and coffee bars next to them so you really get the beautiful idyllic location combined with the practical and child friendly ease. 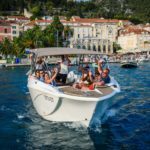 From anywhere in Dalmatia, the southern part of Croatia, a ‘must-do’ is a boat trip to an island – you can take a group trip and there are any number advertised locally in most places but by far a better experience is to join a small excursion of about 10 people. 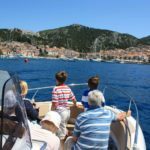 Swishing past islands, caves and coves surrounded by turquoise water is fascinating and such a different perspective – head for Vis Island and its Blue Caves or Hvar Island and its archipelago of Pakleni islands. 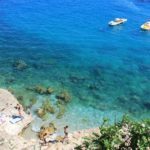 Or check out the Elaffiti Islands just off the coast of Dubrovnik – little gems with pretty harbours and no cars, just a magical array of paths around the island to beautiful bays and beaches – all you can hear are crickets and you’ll see glimpses of sea as you make your way around. 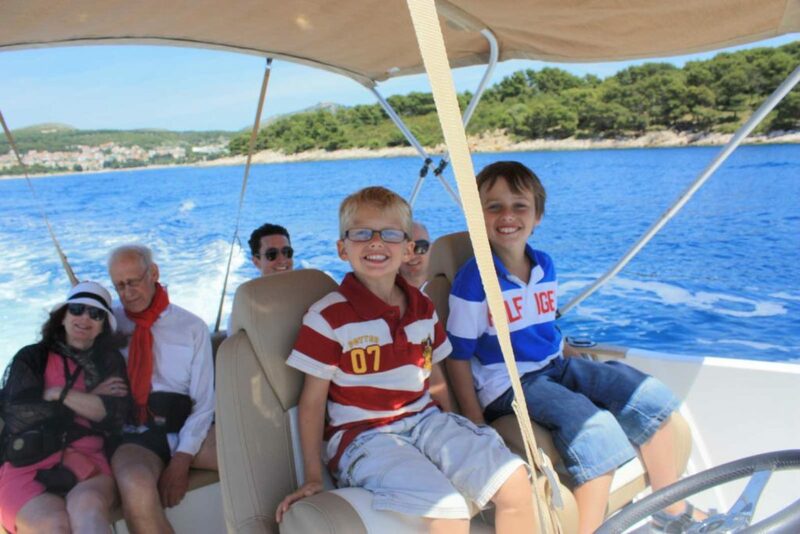 For little legs you can hop on a golf buggy to transport you too! 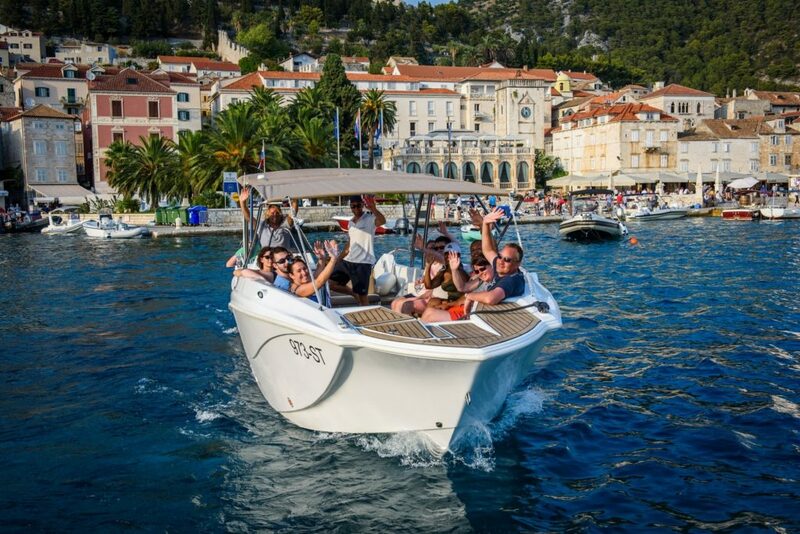 Perfect for getting you to those pina coladas and wonderful beaches!